And we’re off to the mountains again. 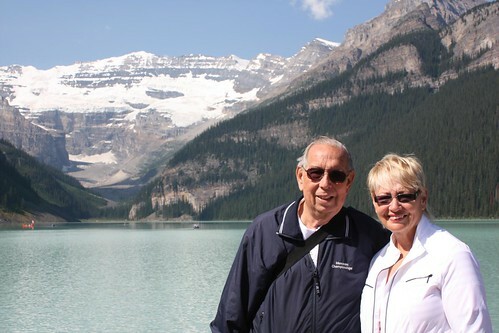 Mom and Dad have never been to Lake Louise and that seemed like a shame. So, we took a day trip out there so they could see how spectacular it was in person. 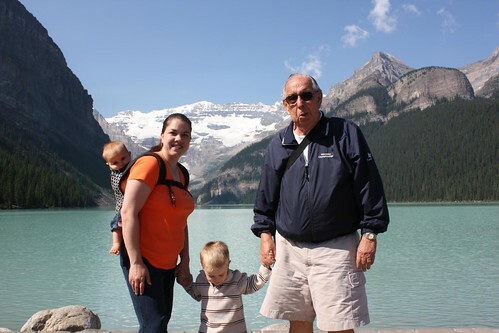 We started with a stop at Lake Louise. It was a beautiful day and a great day to visit. 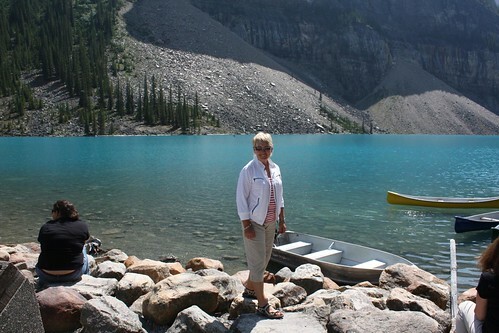 From Lake Louise, we headed over to Moraine Lake. I’ve learned that is the correct order to see these two areas. Mom and Dad agreed. 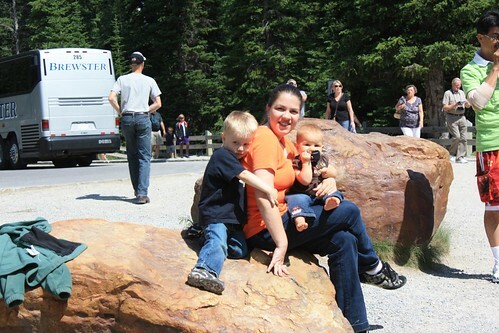 We didn’t have a lot of time at Moraine Lake but Mom got a few good pictures while Dad wandered around checking the prices of renting a canoe. The kids and I waited. We were back in the car and headed back in time for the kids to catch a little nap. It was a long trip but we were all glad that we took a bit of time to go out there for the day.